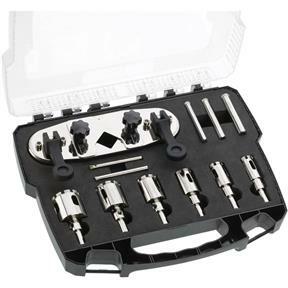 Glass/Granite Drilling Set, 12 pc. 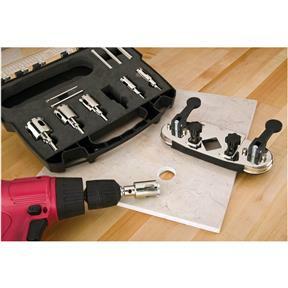 Grizzly T10538 - Glass/Granite Drilling Set, 12 pc. Ideal for glass mirror, granite tile and granite countertop installations! 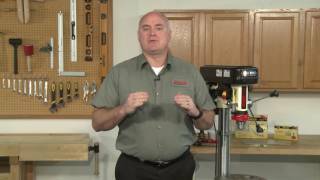 Powerful dual suction cups ensure drill guide remains stationary. Adjustable guide for different bit sizes. Diamond-core drill bits Bit sizes: 3/16", 1/4", 5/16", 3/8", 1/2", 3/4", 7/8", 1", 1-1/8", 1-1/4" and 1-3/8"
Ideal for glass mirror, granite tile and granite countertop installations! 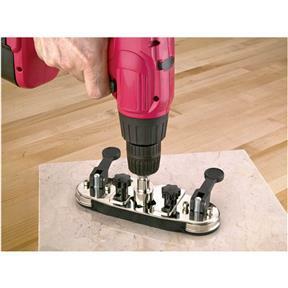 Powerful dual suction cups ensure drill guide remains stationary. Adjustable guide for different bit sizes. 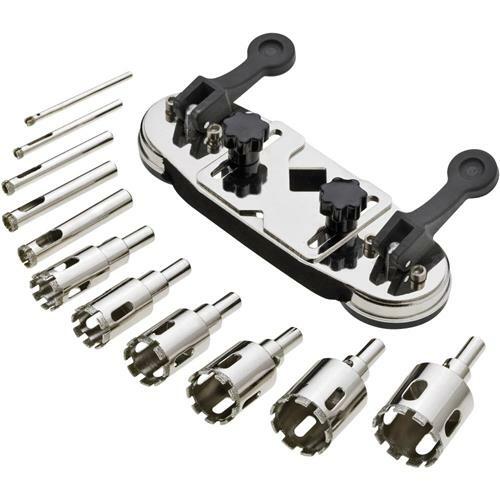 Bit sizes: 3/16", 1/4", 5/16", 3/8", 1/2", 3/4", 7/8", 1", 1-1/8", 1-1/4" and 1-3/8"